Exhibition view, Summertime… at Jenkins Johnson Gallery. 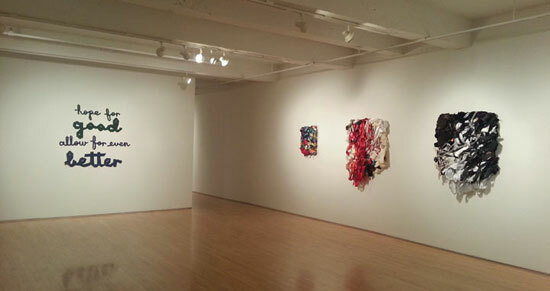 Two of my ribbon texts are on view alongside lovely ribbon-based wall works by Vadis Turner. 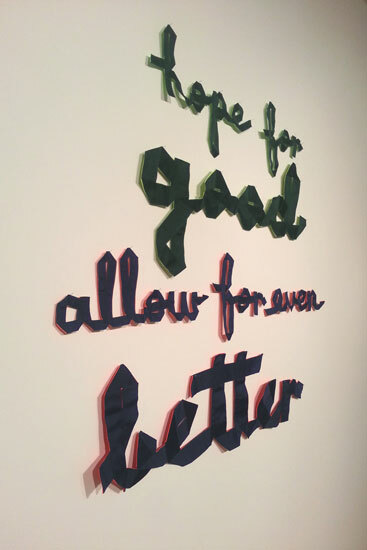 Works by Shawn Huckins, Vadis Turner, and Christine Wong Yap. The exhibition features works of varying media and content, though all embody the dedication to contemporary art and mastering their media that Jenkins Johnson Gallery strives to propagate.